Ready to get lucky? Preparations for Chinese New Year are in full swing across many Asian-Australian communities. 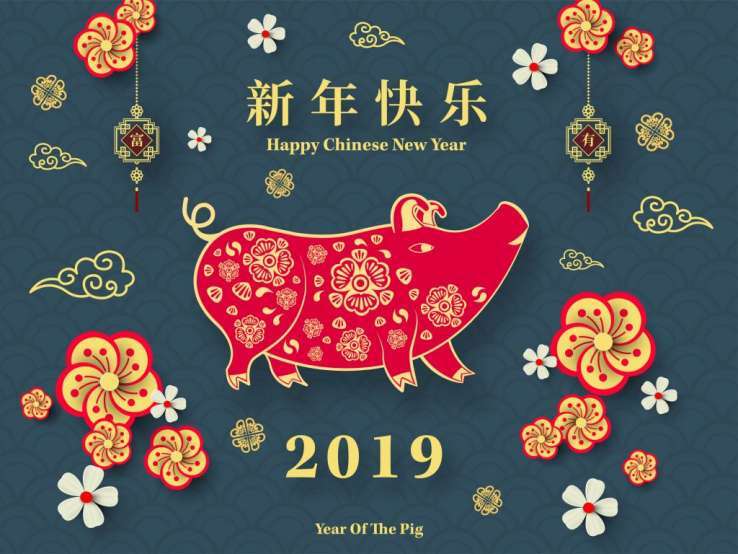 It all kicks off on February 5 and according to ancient Chinese beliefs, certain foods and treats associated with luck should be on hand for family, friends and other guests to munch on when they visit. 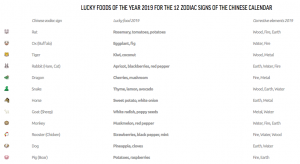 Read on to find out which good luck food items should be on the dining table this year. Certain dishes are eaten during the Chinese New Year for their symbolic meaning. Lucky food is served during the 16-day festival season, especially New Year’s Eve, which is believed to bring good luck for the coming year. The auspicious symbolism of these traditional Chinese New Year foods is based on their pronunciations or appearance. If you love dumplings, here’s your chance to indulge. Based on Chinese tradition, the more you scoff during the New Year, the more money you’ll have in the New Year. The most common Chinese New Year foods include dumplings, fish, spring rolls, oranges and a sticky rice cakecalledniangao. We’ve rounded up seven essential Chinese (and Lunar) New Year dishes and included the symbolism behind them all. 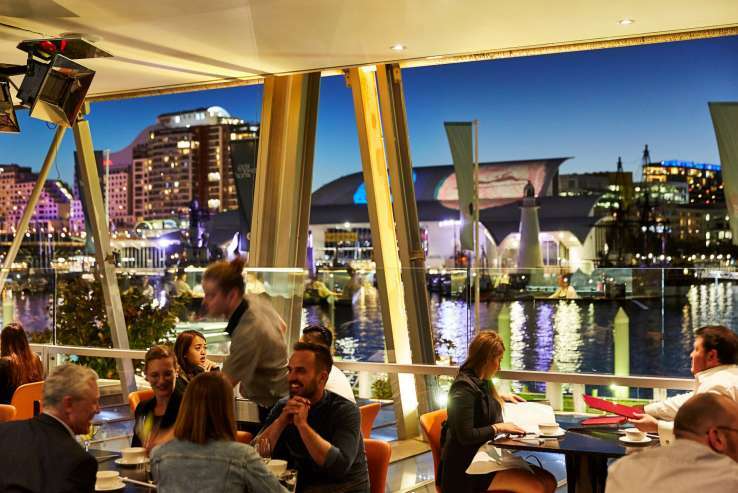 Try your hand at the dumplings, steamed fish and rice cakes at Hulu at King Street Wharf. During the Year of the Pig, the two elements allowing the 12 signs of the Chinese Zodiac to maintain a positive harmony are Fire and Metal. Fire is associated with hues of red and Metal with white and grey. Applied to food this means any food, fruit or vegetable with a red or white dominance is lucky. Any recipes and dishes based on tomatoes, capsicums, white cabbage, rice, soya, fish, white radish and berries will bear good fortune. 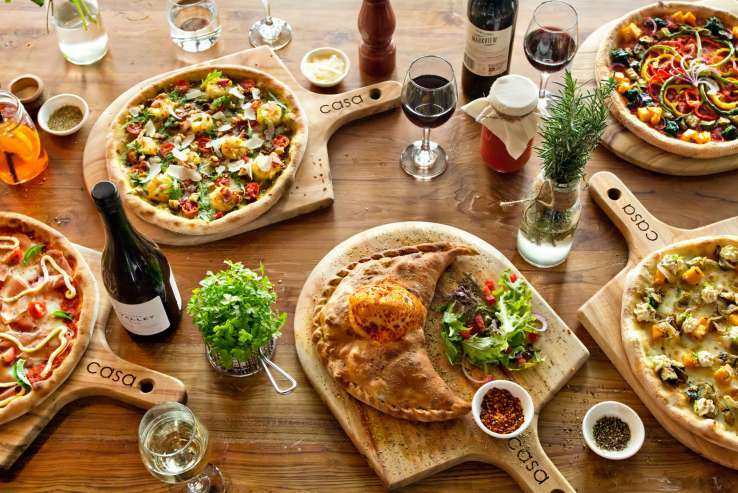 As such Italian restaurants should fare well in 2019 with red-based dishes such as Pizza Margherita, Spaghetti Bolognese and Caprese Salad (tomato and mozzarella). 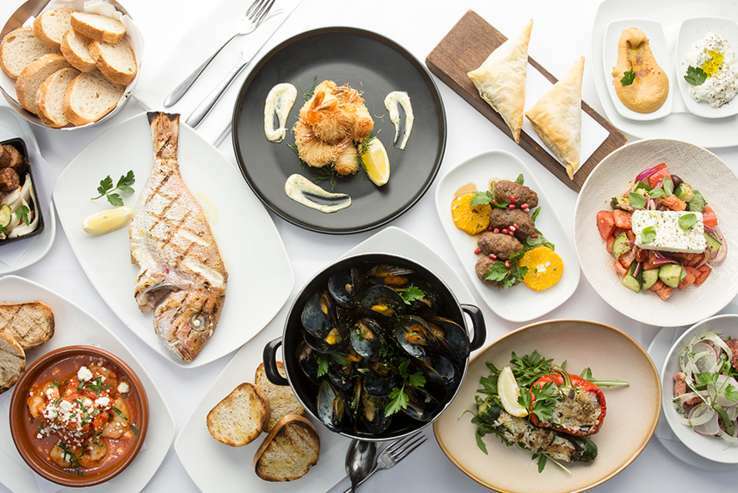 Have a look at the lucky dishes available at Casa Ristorante Italiano? Gung Hei Phat Choi! Happy Lunar New Year!! !